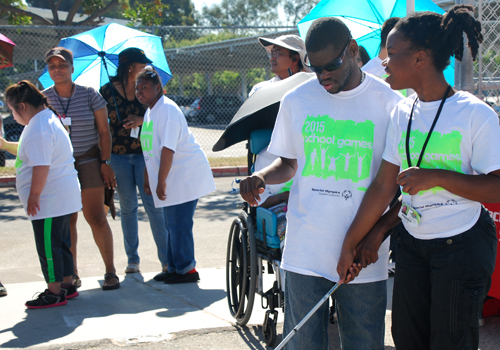 Special Olympics Southern California School Games provides training and competitive sports options to elementary, middle, and high school special education and adapted physical education students. 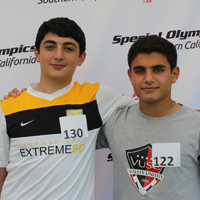 It encourages youth participation, inclusion and leadership in local schools and prepares school age students for participation in SOSC sports opportunities beyond the school day. 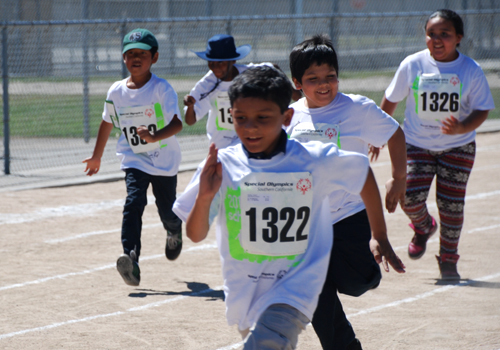 Students score goals, hit game-winning baskets, and break through finish-line tape with their arms wide open during Special Olympics Southern California’s School Games competitions. Sets students on the path to lifelong sports participation through collaboration with families, schools and the community. 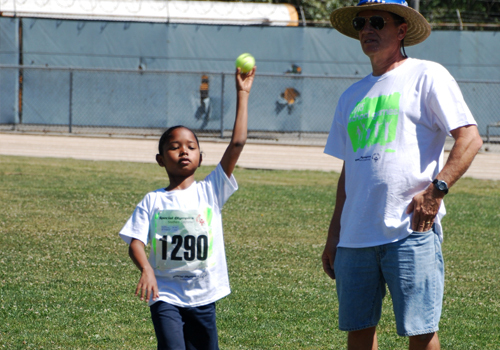 For many, this is a child’s first opportunity to compete, be part of a team or to be cheered on by family and friends. 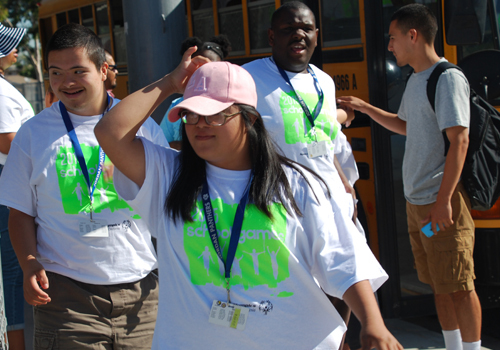 Provides opportunities to unite students with and without intellectual disabilities and build a school community of acceptance and inclusion. Determine what’s needed and how it will be funded, if necessary, for items such as uniforms, transportation to/ from culminating event, etc. What sports are offered at School Games? Currently, existing school programs participate in soccer or basketball for fall semester and athletics (track & field) for the spring semester. 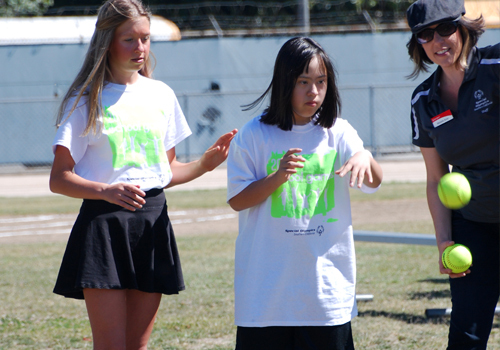 These sports ensure opportunities for students of all abilities. What can School Games look like at my school? 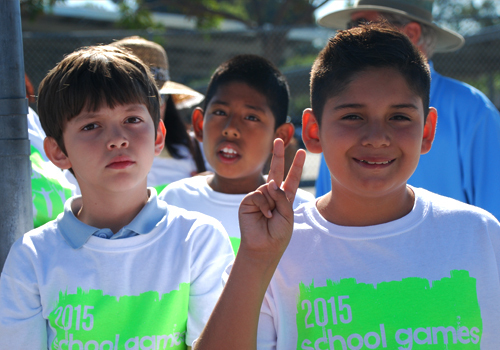 A School Games season may align with quarters, semesters, or other time frames. Training should occur a minimum of 1x per week for 8-10 weeks or 2x per week for 4-5 weeks. 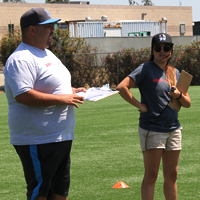 Trainings should focus on developing the skills necessary to participate in the sport(s) offered at School Games. Training usually occurs during Physical Education class, under the guidance of trained teachers. A culminating event or competition is held at the end of the training period and may involve many classrooms from one school or many schools from one district. 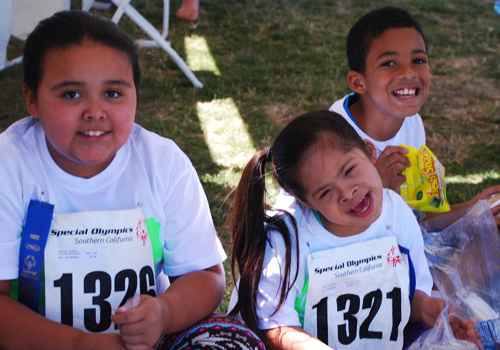 What does Special Olympics Southern California (SOSC) provide? 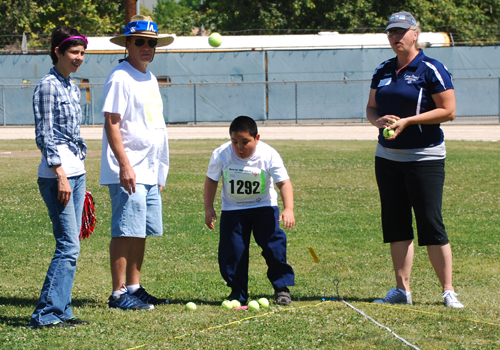 SOSC will work collaboratively with the school and/or district to provide consultation, education, support and assistance, which may include matching financial resources, sport-specific training for teachers and instruction and assistance to school administration. What is needed to implement School Games? 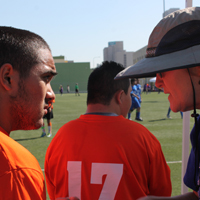 A core committee of teachers and volunteers is the foundation for any successful School Games program. Resources needed may include: sports equipment, student T -shirts/uniforms, a location to host the culminating competition, support of high school student or parent-group volunteers to organize and conduct the competition. Where are School Games currently being offered?